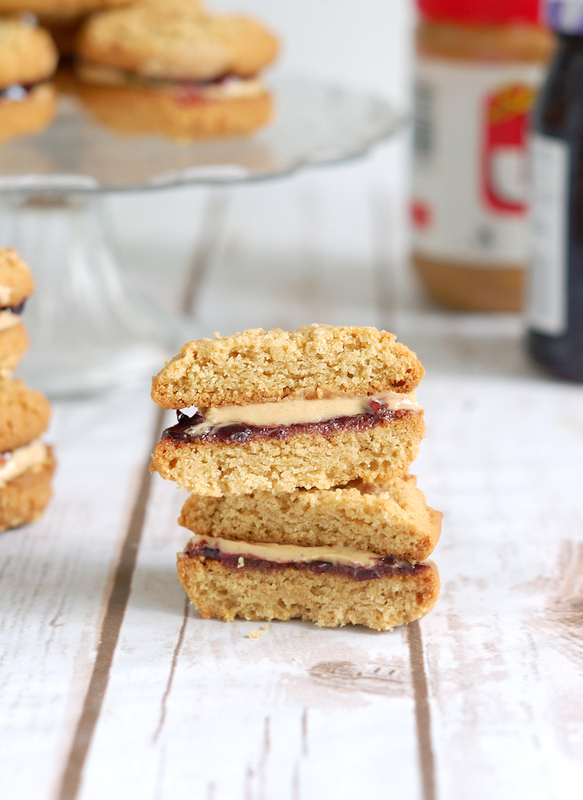 Kids of all ages loves a good PB&J sandwich, don’t they? 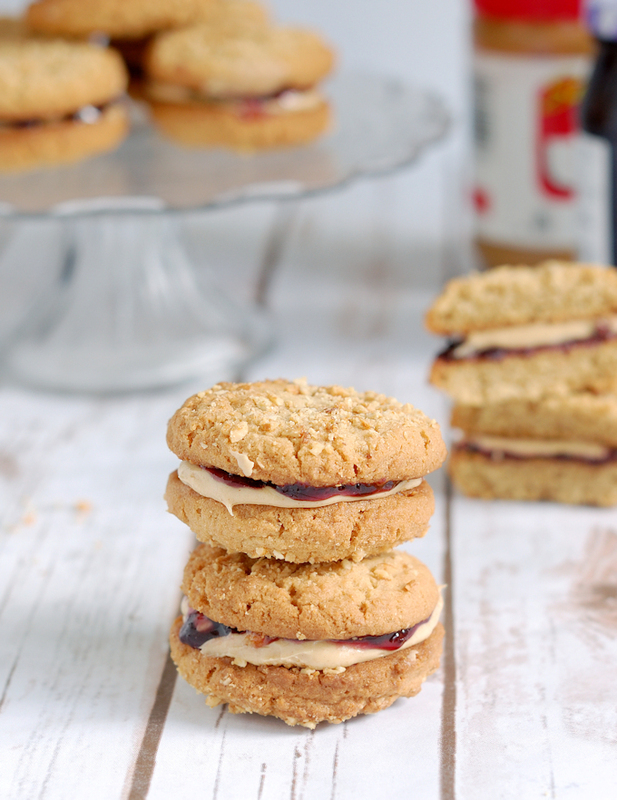 How about a Peanut Butter & Jelly Sandwich Cookie? 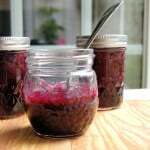 Make it classic with grape jelly, or spice it up with hot pepper jelly. 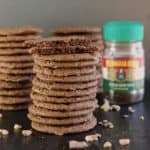 I am officially obsessed with these cookies! Sweets and treats are not hard to come by in our house. In fact, I’m usually trying to get rid of the goodies once they’ve been photographed for the blog. My husband takes lots of stuff to work (there’s often a line out the door of the lunchroom), and it’s not unusual for me to post a notice on Facebook for my neighbors to please come and take some of the sweets home. Believe me, I like sweets and baked goods as much as the next guy, but I don’t really have a giant sweet tooth. I like to say that I have an “everything” tooth. I like sweet, salty, spicy, bitter, funky, you name it. Generally, I can eat a cookie or two and then be happy to move on to a nice salad, steak or a glass of wine. But I found these cookies irresistible. If I didn’t farm them out to a friend with a teenage boy (aka, bottomless pit) I could have gotten myself in trouble with these little little bites of heaven. I’m a big fan of an occasional peanut butter and jelly sandwich (on good white bread), so I immediately knew I would use traditional grape jelly as the “jelly” part of the PB&J. 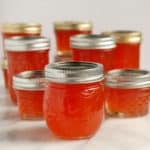 While I was putting together the recipe I remembered that I still had some Ghost Pepper Jelly in the cupboard from last summer. Have you ever had spicy peanut sauce? 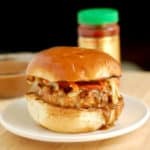 If you’re a fan of peanut sauce you know how well peanuts and hot peppers go together. OMG! 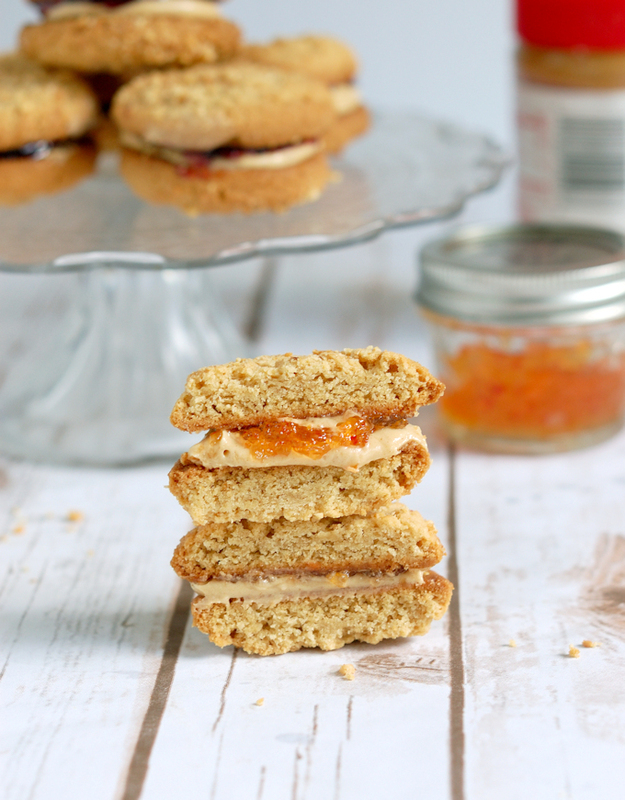 Those spicy sweet sandwich cookies wouldn’t stop calling my name. They’re fairly big cookies, and they’re pretty filling, but I could’ve eaten the entire batch if I didn’t stop myself. 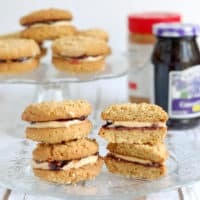 Chewy cookies with a crunchy honey roasted peanut topping, creamy peanut butter filling and the jelly of your choice come together for a devilishly tempting treat. Don’t say I didn’t warn you…. 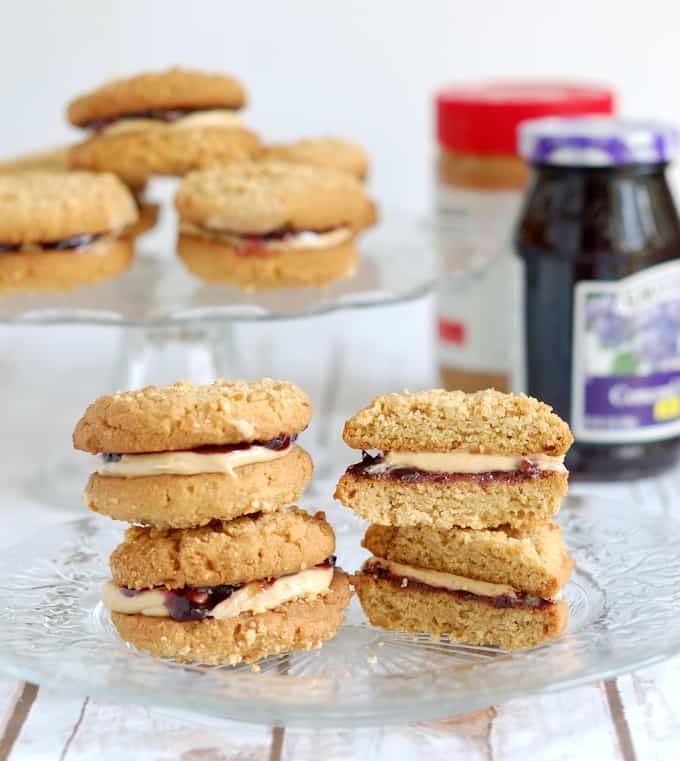 For a sweet & spicy treat use Ghost Pepper Jelly for the cookies filling. 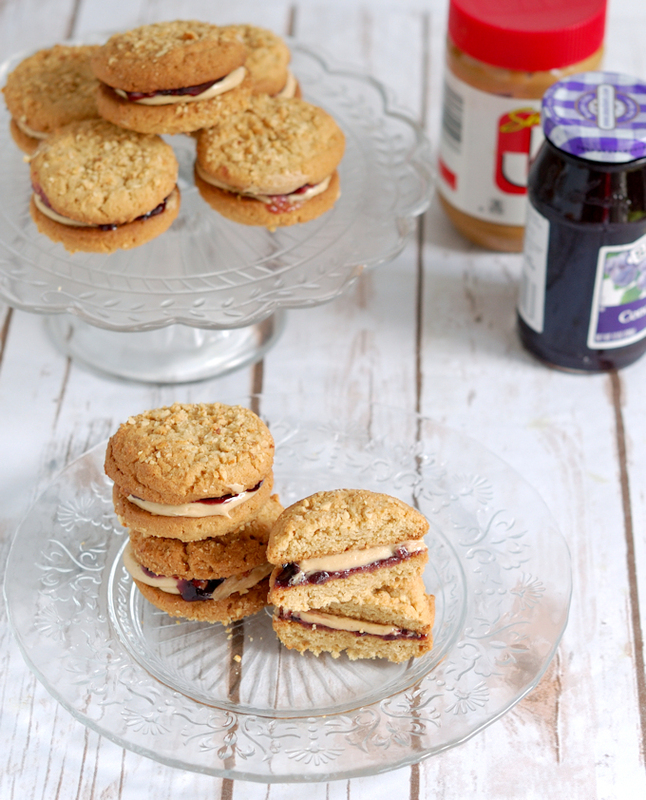 Watch the recipe video to see how to make Peanut Butter & Jelly Sandwich Cookies. 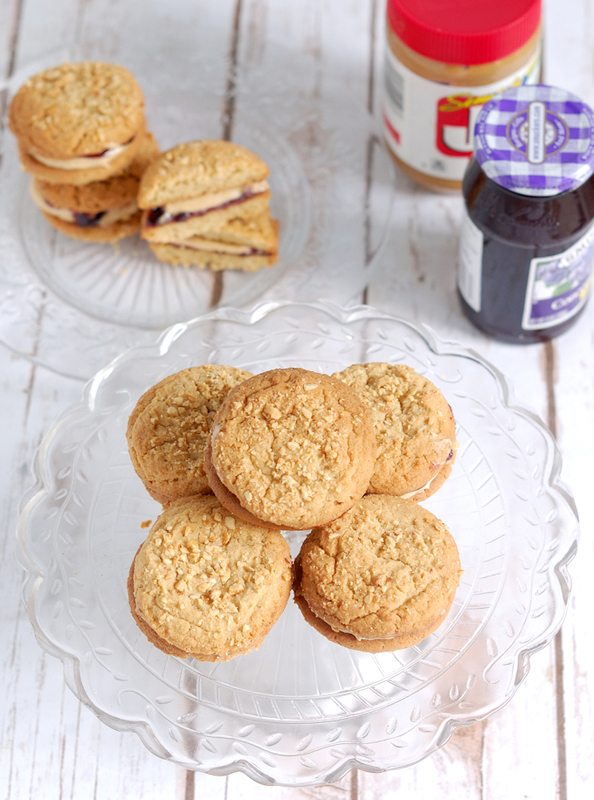 Chewy peanut butter cookies with a honey roasted peanut coating and a peanut butter and jelly filling. 1 cup (4 oz, 125g) honey-roasted peanuts ground to a chunky texture. Preheat the oven to 350°F convection or 375°F regular. Put the chopped honey roasted peanuts into a small bowl. Line 3 half sheet pans with parchment paper or silpat (or work in batches if you only have 1 or 2 pans). In a medium bowl, whisk the flour, baking soda and salt, set aside. In a mixer bowl beat the butter with both sugars until light and creamy. Add the eggs and vanilla. Add the peanut butter. Turn off the mixer and scrape the bowl. Add the dry ingredients and turn the mixer to low speed until the flour is partially incorporated, increase speed to medium and mix just until all the flour is combined. Cream the butter with the confectioners sugar until smooth. Add the peanut butter and vanilla. Whip until light and fluffy. Flip the cookies over so the flat side is up. 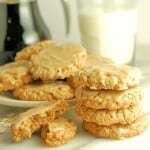 Use a piping bag or small spatula to put a dollop of peanut butter filling onto half of the flipped cookies. Spread jam onto the other half of the cookie. Sandwich the cookies together. 1: To make ahead you can scoop the cookie balls and freeze on a parchment lined sheet pan. Once the cookie balls are frozen transfer them to freezer proof bags and store for up to a month before baking. 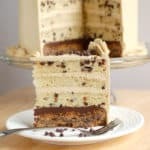 No need to defrost before dipping in peanuts and baking. 2: On a 13x18 half sheet pan I place 4 alternating rows of 5 cookies and 4 cookies, a total of 18 cookies per sheet. Some nice person brought these to our office a while ago. They are incredible. Thank you! Glad you liked them! I love them.